Hello, TechRaptor readers! Here’s what you may have missed in the world of tabletop wargaming over the last week. Games Workshop has been busy these last few weeks with several releases and announcements. 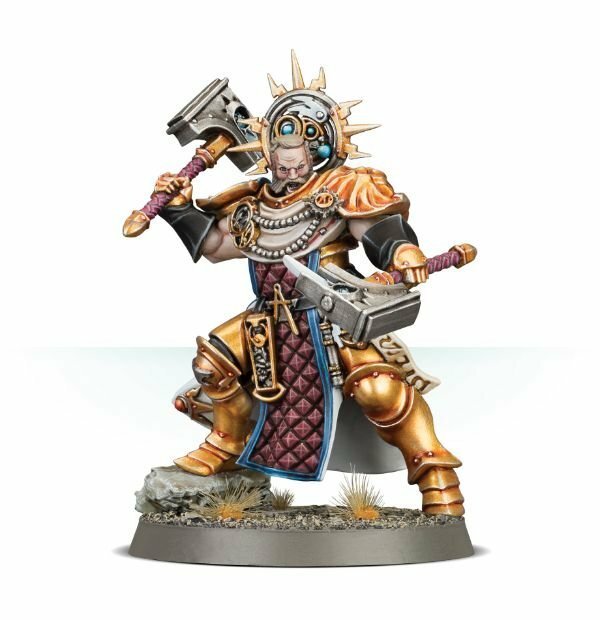 Last week saw the announcement of the first Aelf army for Warhammer: Age of Sigmar with the Daughters of Khaine, an all-female army with some visual and mythological cues taken from ancient Greece. While the only information available comes from the teaser video, we are able to see not only the Witch Elves and Doomfire Warlocks that will make up the core of the army, but also what appear to be brand-new Harpies and two variations of Gorgons as well, coming in with both a melee and a ranged option. The video also shows the first images of a long-awaited (and frankly long needed) update for Morathi as well. Judging from the video, it is entirely possible that Morathi will actually be two models: a regular Aelf queen and some sort of serpent monster as well. No release date has been given for the Daughters of Khaine as of this writing, but expect it to come soon as part of the Malign Portents release wave. Morathi did appear in one of the short stories on the Malign Portents website, so she may have a part to place in the upcoming narrative. And speaking of Malign Portents, the official pre-orders are new available on the Games Workshop web store. The Malign Portents book, cards, and dice are currently available, along with the Legions of Nagash battletome, new heroes for Order, Destruction, Chaos, and Death, and the much-loved Warscryer Citadel as well. This release wave also contains several army bundles as well with a heavy focus on the Death grand alliance. All pre-orders have a release date of February 10th. 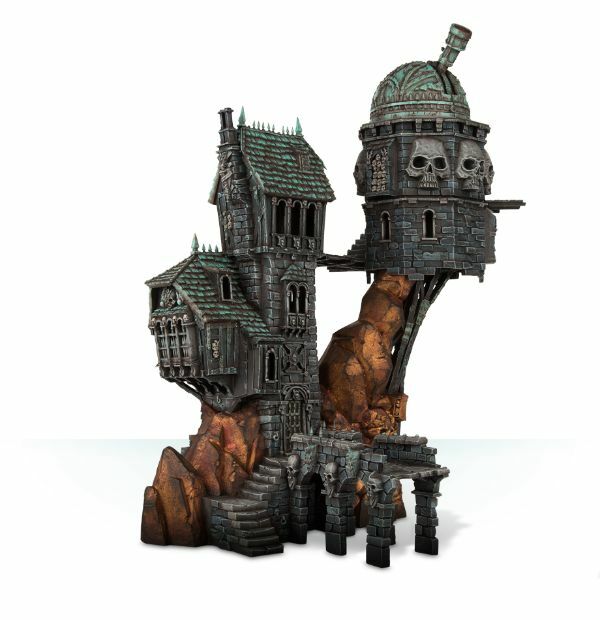 Warcradle Studios has announced their February releases, this time focusing on terrain. The first Red Oak buildings were announced earlier this week. This release wave contains a simple residence, cartwright, jail, metal smith, and post office with more to come in the future. The buildings are made of laser-cut MDF and come with a great amount of detail the brings the RJ-1027 infused Wild West to life. This release wave also contains a new set of dice and official Fortune chips as well. This week also saw the studio release two render previews for two upcoming Lawmen posses: the Infernal Investigations posse shown last year in concept art, and Wild Bill Hickock’s Ranger Showboat posse. These 3D renders give us a better idea of what to expect when they actual models are released. The Ranger Showboat preview also shows two upcoming changes to the Lawmen: the Copelie sisters will be gaining the Ranger keyword to fit into the posse, and a brand new model will be coming along for the ride as well with the addition of Calamity Jane. At the time of this writing, no solid release date has been set. Corvus Belli has released several unit previews in both concept art and 3D render flavors this last week, along with publishing a hacking guide aimed primarily at the Nomads. Zoe & Pi-Well, Grunt Intel Rosalind “Rosie” Munroe, Mercenary Wardrivers, and the Nexus-7 Operative Kerr-Nau have both concept art and 3D model render previews available, while the Candy Double MayaStar model is still in the concept art phase. As the premiere hackers in the Human Sphere, the Nomads have a wide variety of units that come with the various kits needed to break into just about any computer in existence. The faction contains the largest number of units with a hacker profile, with everything from the humble Aguacil and Moderator line troops to specialized cyber-warfare specialists like the Interventors and Reverend Custodiers. Learning how best to utilize these complex and highly useful support characters on the field can oftentimes be the difference between victory and defeat, so becoming intimately familiar with them is a priority for Nomad players. The linked guide will be a useful introduction into a complex and rewarding facet of Infinity. The Kickstarter campaign for TinkerTurf is just about finished, with about five days to go. The campaign is already fully funded, sitting at over $57,000 USD of its $45,000 USD goal. TinkerHouse Games is currently shooting to meet some of their stretch goals in the final days of the campaign. The additional art options goal has already been met, and the campaign is now focusing on adding additional pieces to the base sets. If you haven’t heard of TinkerTurf yet, it’s a highly modular industrial themed terrain set designed with Warhammer 40K and Infinity in mind. The terrain itself is made of dense game board rather than MDF, which not only allows for full-color terrain out of the box, but is also much cheaper to produce for the company, making bringing your wargaming tables to life that much easier. And finally, Raging Heroes currently has another set of bundles available featuring both the fantasy and sci-fi versions of the Sisters from their Toughest Girls of the Galaxy model lines. The Crusader squads come with a full set of regular Sisters troops along with a full set of Sister Davidians and command troops for the sci-fi version; the fantasy version contains a full set of Sisters troops along with a full set of Blade Maidens troops and command squad. The Crusaders Strike Force has the entire contents of the Crusader squad boxes along with four heroine models as well for both sci-fi and fantasy versions. These bundles are only available for a limited time; once they’re gone, the individual units and troops won’t be available for purchase until later this year. What news snippets caught your attention? What are you saving your pennies for? Any games you’d like to see more coverage of? Let us know in the comments below! I'm one of the tabletop writers here at TechRaptor as well as an IT security analyst and full-time geek. If I'm not actively playing, I'm either painting something, enjoying burying my nose in a book or arguing on the Internet.